Students use a paper clip and pencil to spin. 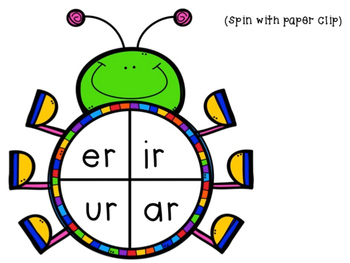 Next, they grab the card for the r controlled vowel they landed on. Then, students flip the sand timer and race to read the words before the sand runs out. 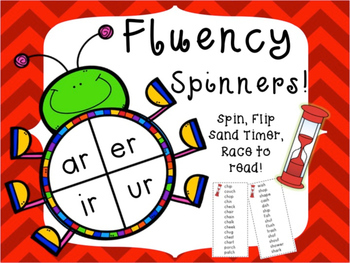 This is a great fluency practice! I use it in my classroom as a "free center" if they happen to finish their literacy center rotation before the bell rings. 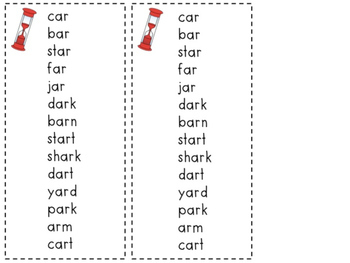 This game includes 2 cards per digraph so they can also race with a partner. All teachers know, students love to race! 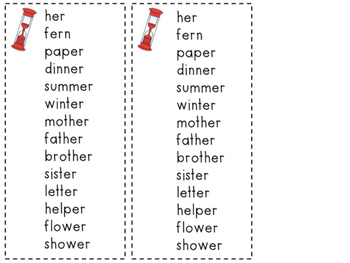 *Bonus* If students finish racing, they can write their words on a whiteboard and circle the r controlled vowel.